Orphaned as a boy, raised in the Czech countryside by his doting grandparents, Jakub Procházka has risen from small-time scientist to become the country's first astronaut. When a dangerous solo mission to Venus offers him both the chance at heroism he's dreamt of, and a way to atone for his father's sins as a Communist informer, he ventures boldly into the vast unknown. ...[a] funny and moving debut novel ... A key to the book’s tone can be found in his use of humor. Kalfa? takes us on a wild ride, and he packs a lot of world history-level tragedy into his book, and this could have ruined the story. You’re already asking us to follow the first Czech into space, then there are his relationship problems, a giant alien spider, and, oh yeah, the fall of communism. 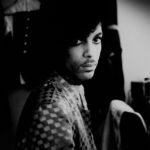 But he makes it all work seamlessly by giving us quiet moments that balance grief and humor ... That’s where this book’s greatness lies. By giving us a character who is a culmination of Czech history, Kalfa? is able to tackle half a century at once. And by giving that character a deeply personal problem, he’s able to ground the politics in heartbreak. 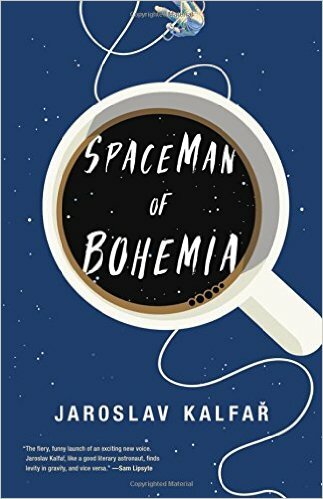 Jaroslav Kalfar’s Spaceman of Bohemia is not a perfect first effort. But it’s a frenetically imaginative one, booming with vitality and originality when it isn’t indulging in the occasional excess. Kalfar’s voice is distinct enough to leave tread marks. He has a great snout for the absurd. He has such a lively mind and so many ideas to explore that it only bothered me a little — well, more than a little, but less than usual — that this book peaked two-thirds of the way through ... Kalfar has an exhilarating flair for imagery. He writes boisterously and mordantly, like a philosophy grad student who’s had one too many vodka tonics at the faculty Christmas wingding. This is generally a good thing, though it can also mean periodic forays into pretentiousness. What did you think of Spaceman of Bohemia?